Buy Australian-Made Quilts & Pillows Online | Superior Quilt Co. The Superior Quilt was established in Australia 20 years ago. The company’s success has been attributed to our commitment to the consumer, our guarantee of quality of our products. Our Rejuvanation Service, saves money and ensures a more hygienic sleeping environment. We specialise in feather and down quilts and pillows. 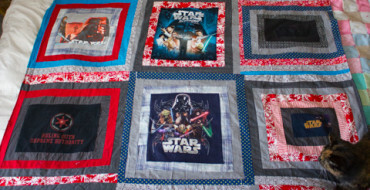 We can custom make quilts and pillows to suit your needs. 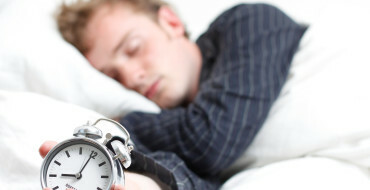 Our aim is to give you the best nights sleep all year round. 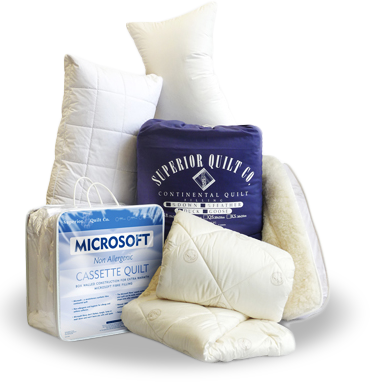 We also offer a range of wool quilts, wool underblankets and Microsoft quilts and pillows. Being in the industry for over 20 years now, we have always only aimed at satisfying our customers through high-quality products and reliable services. We also believe in providing our customers with products that are of genuine make and quality, which is why we insist on each one of our valuable consumers to switch to healthy sleeping habits by opting for the Wool Quilts. The chill winters will now call in for a pleasurable sleeping time, as these Wool Quilts will give you a cozy feel, giving you a sound, cozy and comfortable sleep.